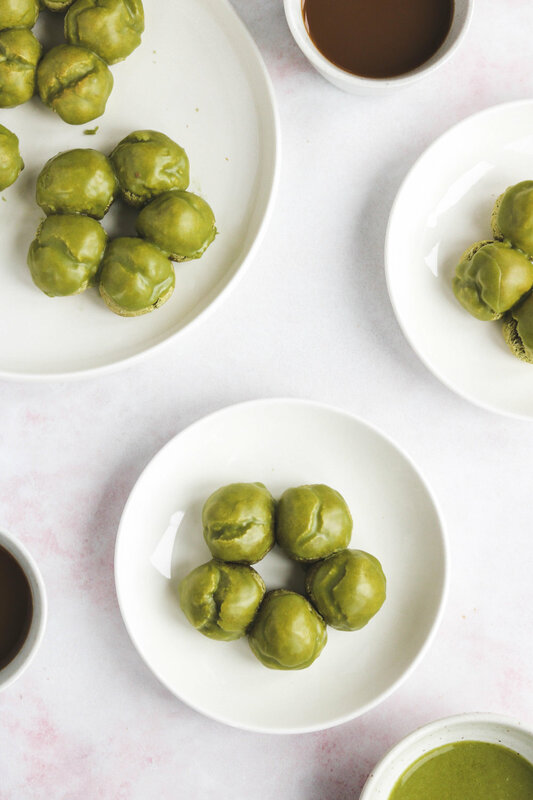 These Matcha Mochi Donuts are the perfect treat for any occasion! Soft, moist, chewy and so delicious. Vegan & Gluten free! Mochi Donuts AKA Pon De Rings are all the rage in Japan when it comes to donuts. If you’ve never tried Mochi Donuts before they’re basically these pillowy soft and moist donuts. It has a mochi like inside and a crispy outside. 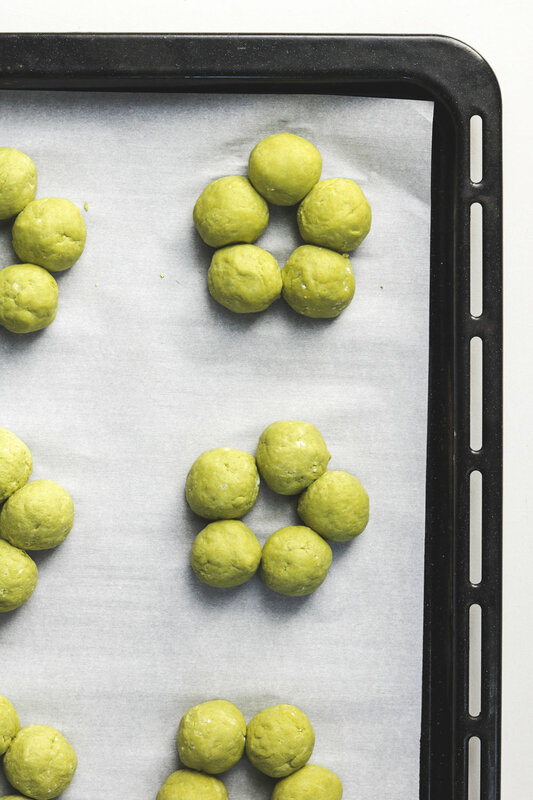 Most Mochi Donuts require frying, which of course is always much more tasty. 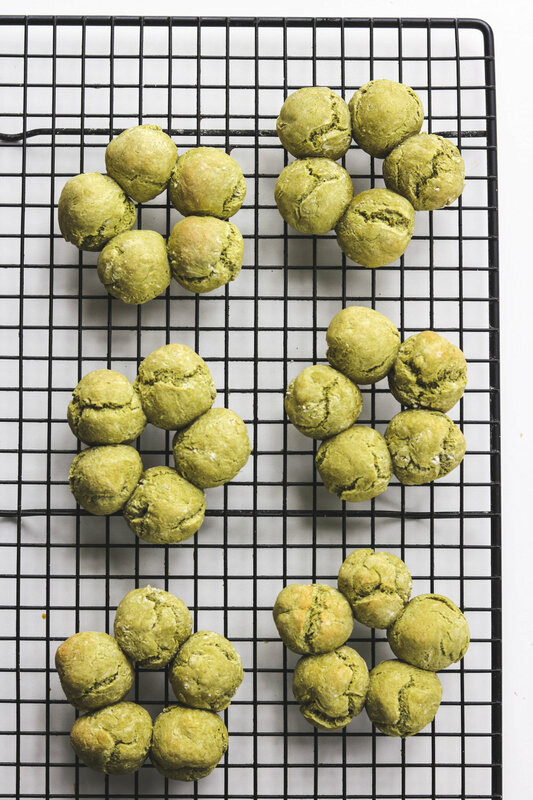 It really makes this crisp edge, but after several tests I found that these baked versions are a great healthier alternative! 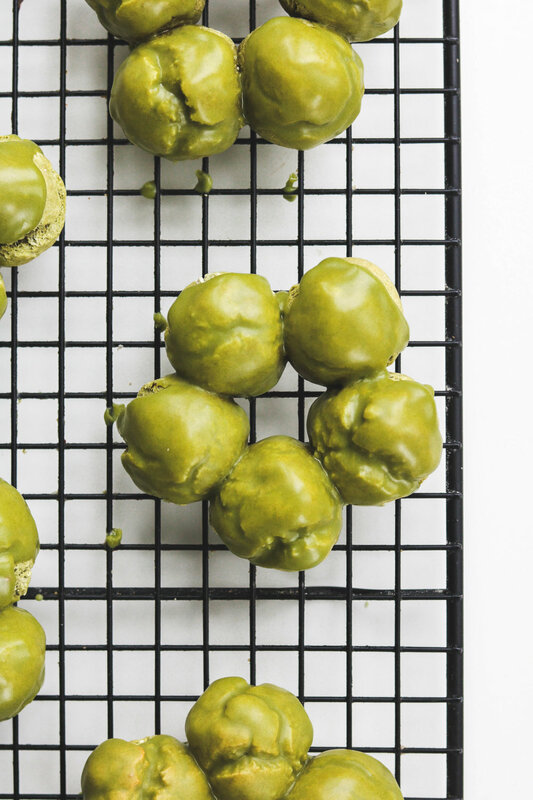 It requires only just a few simple plant based ingredients. Mochiko (sweet glutinous rice flour) can be found in most asian grocery stores, do not use rice flour! Best to be eaten fresh, but if you do have left overs store out of the fridge. 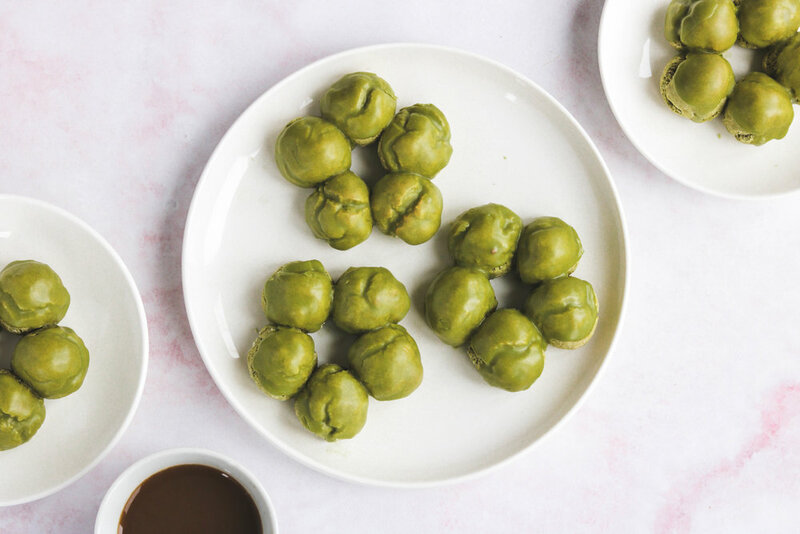 If you recreate these Matcha Mochi Donuts please share it and let me know what you think by tagging me on Instagram @lisakitahara, I love seeing all of your tasty recreations! In a large bowl, combine the non-dairy milk and coconut sugar until dissolved. Then add in the non dairy yogurt, vanilla and coconut cream to combine. Add in the gluten free flour blend, mochiko, baking powder and mix until combined and forms a dough. Once rollable, roll 1/2 tbsp size balls and stick 6 of the balls together like shown in the photo above. 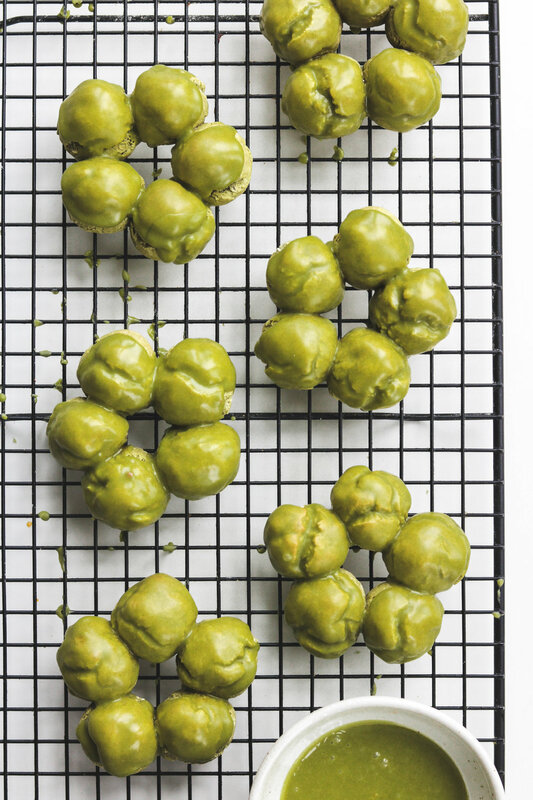 In the meantime, make the glaze by combining the powdered sugar, matcha powder and liquid in a small bowl. 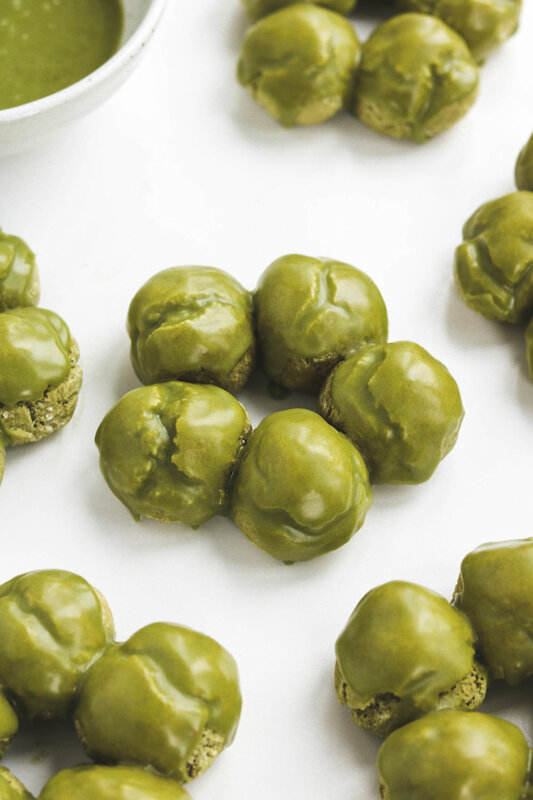 Once cooled, dip them into the matcha glaze and enjoy!